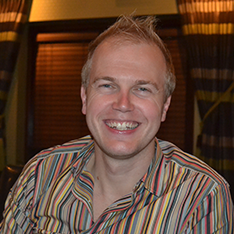 How much does Office 365 Education cost? 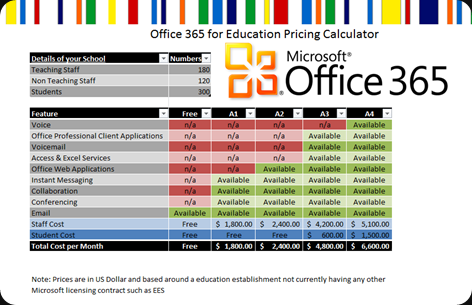 I’ve created a simple calculator in Excel for you to work out how much Office 365 for Education will cost you. As there are different versions known as Academic 1, Academic 2 etc by simply putting in your number of staff and students you will be able to see how much each of these cost per month. Alex, thanks for this – will save me a lot of time.